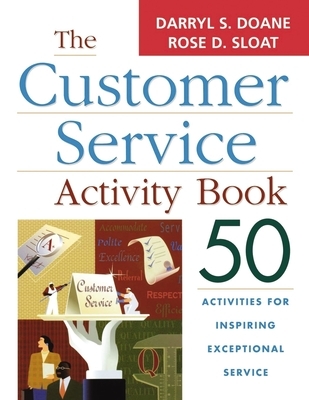 "From seasoned veterans to first-timers, any instructor, trainer, manager, consultant, or coach charged with improving customer service will find The Customer Service Activity Book a powerful resource. The activities can easily be used as a complete customer service training program or customized and used individually to address areas of concern. The Customer Service Activity Book presents an array of dynamic and engaging activities that: * Reinforce what good customer service is -- and is not * Demonstrate how to work together most constructively and efficiently * Prove the value and the importance of ""sharing the load"" * Show how to increase productivity and performance while enhancing relationships with customers Assembling 20 years of sales and customer service experiences in a wide variety of industries, The Customer Service Activity Book is a treasure trove of exercises for enhancing the quality of any customer service training program. Darryl S. Doane and Rose D. Sloat (Canton, OH) are international performance-based training and development specialists, and the owners of The Learning Service, Ltd.